Insulation bricks are chemical composition of alumina, silica, and ferric oxide. It is abbreviated as hot face kyanite insulation bricks. These insulation bricks are preferably used in many industries. 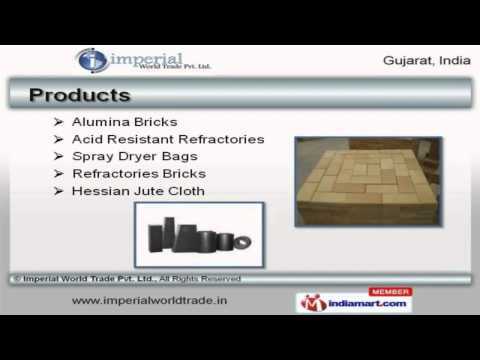 Imperial world trade is dominant HFK insulation bricks manufacturers, suppliers as well as HFK insulation bricks exporters which export these in USA, UK, UAE and Nigeria. We manufacture very high quality of HFK insulation bricks. Many industries like steel making furnaces, pottery, ovens, cement, kilns, etc. widely use these types of insulation bricks. These bricks are high heat resistant, resistance to temperature and thermal shock, etc. Due to its consistency, while firing in the kiln, these HFK insulation bricks are used to make tough and complex pottery items such as sanitary ware and pipes. These insulation bricks are also used in making of glassware. In most of the metalworking industries which make utensils, retorts, saggars, Crucible's, etc. We are HFK insulation bricks manufacturers. We are HFK insulation bricks suppliers as well as HFK insulation bricks exporters. We supply very high-quality insulation bricks to our customers engaged in various industries. These high-quality bricks are made up of high-grade components. These bricks provide better insulation from heat. Copyright © All Rights Reserved Imperial World Trade Pvt. Ltd.